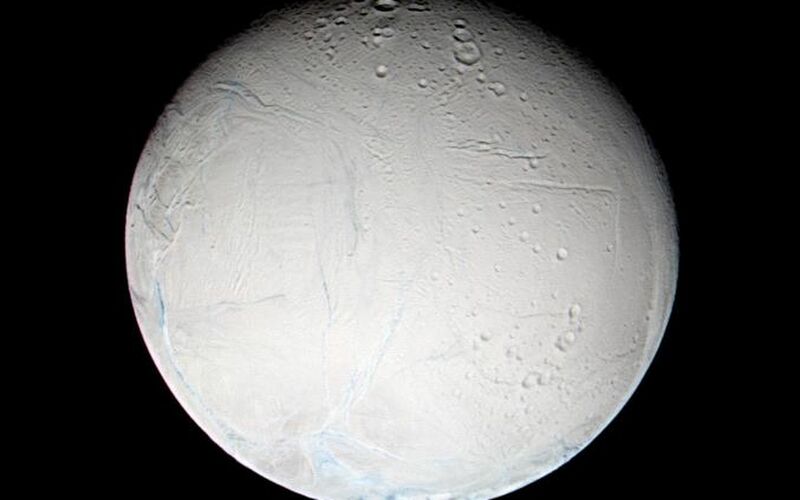 A fresh look at Saturn's moon Enceladus reveals tempting new details about the brightest real estate in the solar system. 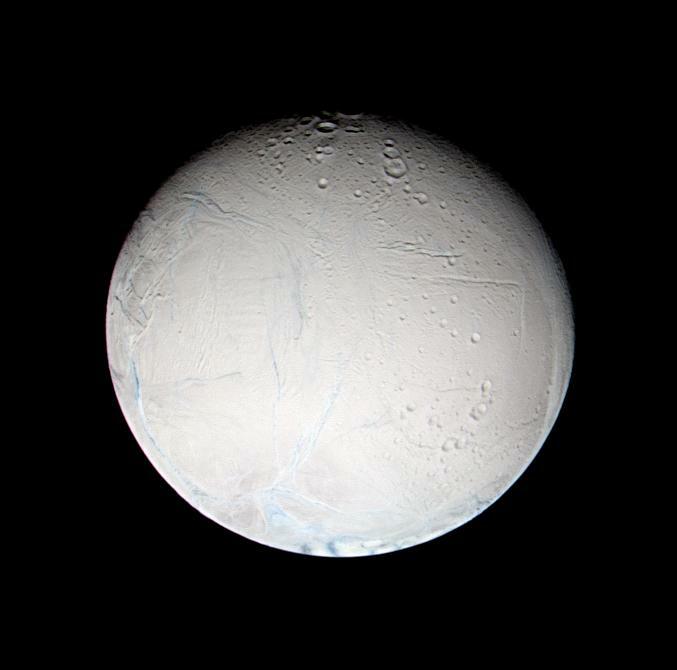 This false-color image shows that some of the linear features on Enceladus have a slightly different color from their surroundings. Different colors of ice may be caused by varying compositions or varying ice crystal sizes. Either of which can indicate different formation mechanisms or different ages. 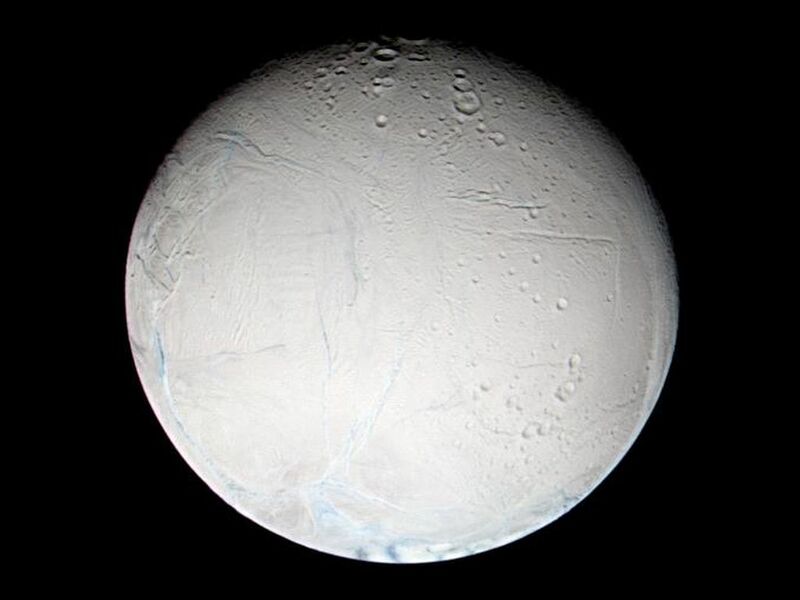 Enceladus is 505 kilometers (314 miles) across. The new view shows some of the smooth plains noted in NASA's Voyager spacecraft images and earlier Cassini images. At about the seven o'clock position are interwoven linear patterns that are reminiscent of the wispy-terrain features on two of Saturn's other moons, Dione and Rhea. Imaging scientists are not sure whether these brighter markings are evidence for contamination of the ice in the linear features by some other material. Analysis of high resolution images of Enceladus should also show whether, like the surprising terrain seen on Dione, the "wisps" are curvilinear fractures that are not quite resolved at this scale. This false color view combines images obtained using filters sensitive to ultraviolet, polarized green and infrared light. 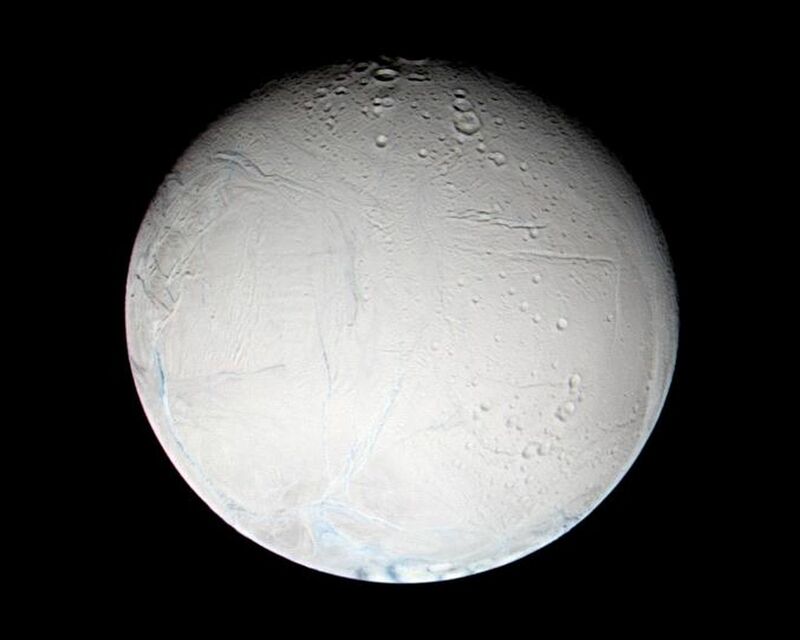 The images were obtained with the Cassini spacecraft narrow angle camera on Feb. 16, 2005, at distances ranging from 179,727 to 179,601 kilometers (111,677 to 111,599 miles) from Enceladus and at a Sun-Enceladus-spacecraft, or phase, angle of 22 degrees. Resolution in the image is about 1 kilometer (0.6 mile) per pixel.